Our twins were born yesterday, and it was amazing to finally meet our two beautiful, healthy babies. (More photos and details coming soon.) 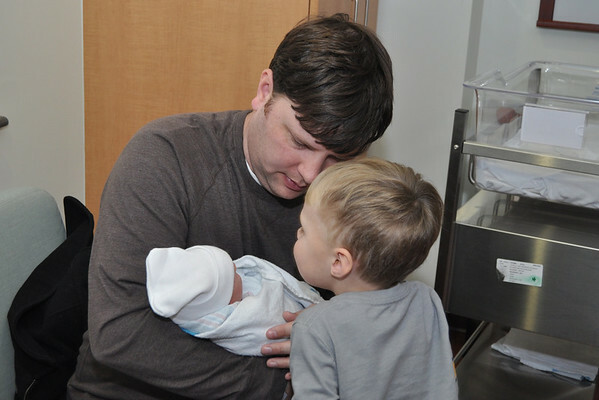 There are many perfect moments to remember from their birthday yesterday, but this morning might have been my favorite part of welcoming the twins to our family. 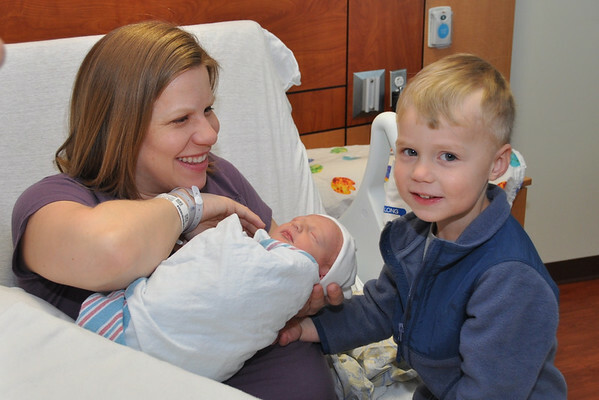 That’s because Patrick got to meet his new baby sister and baby brother this morning! From the moment Patrick saw the twins, he was in awe. He was literally speechless. He couldn’t stop smiling at them, smiling at us, and smiling back at them. He loved looking at their faces, holding their hands, and kissing their foreheads. 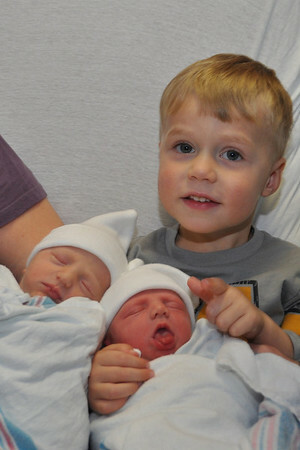 Patrick is one very proud big brother of twins. 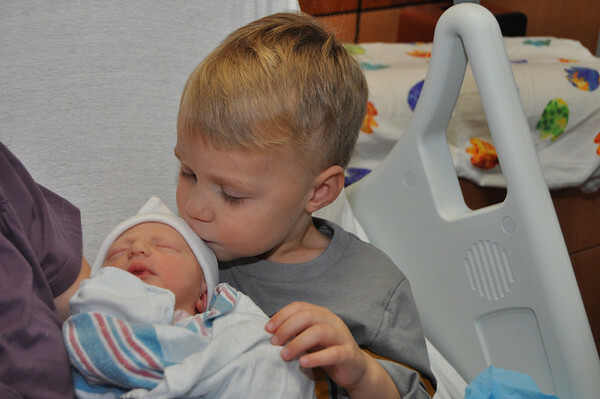 And Claire and Edward are very lucky to be so loved by their sweet big brother. Thats awesome!!! Me and my son Michael Paul wish you and your family the very best!!! SO excited for you! 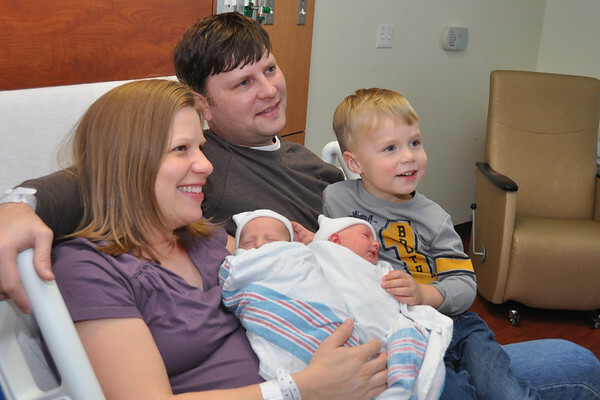 Congratulations on your beautiful expanded family The babies are gorgeous – they just look so healthy! Congratulations!! !